- Graduated from faculty of Art Education – Helwan university 1991, The first with excellent degree. - Master degree in art education, under title: The plastic and expressive values of drapery in sculpture patterns. - PH.D in art education philosophy (sculpture specialization), under title: the benefit of the artistic values of the ancient Egyptian sculpture in patterns of local and international sculpture. - Teacher of sculpture in faculty of art education – Helwan University since 2004. - Asistant professor of sculpture in faculty of art education – Helwan University since 2009. - Professor of sculpture in faculty of art education – Helwan University since 2014. 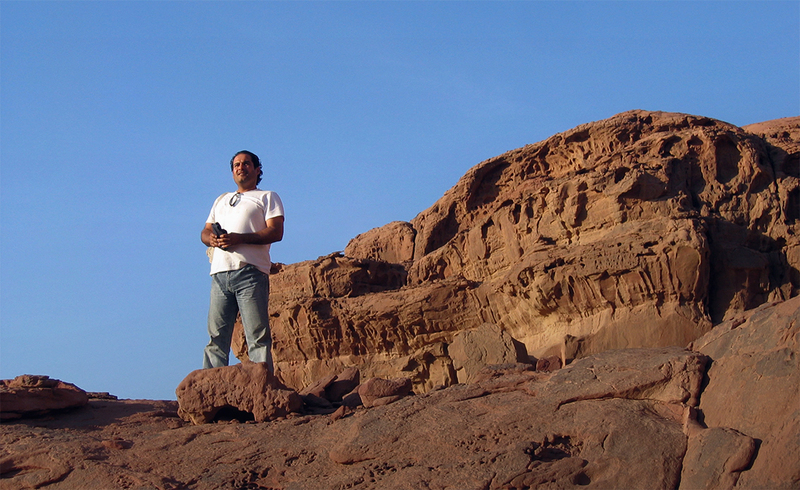 - Teacher of sculpture courses in The American university in Cairo, 2007 - 2008 – 2010 - 2011. - Founder & 2 Egyptian sculptors (MAMAR), Art Group concerning with search in Character of the Egyptian sculpture. 2017 : Solo exhibition – Dai art Gallery, Cairo,Egypt. 2017 : Badr Univercity sculpture symposium (Badr city - Egypt : Egyptian Galala marble). 2017 : Solo exhibition – Nile art Gallery, Cairo,Egypt. 2016 : Solo exhibition – Al Bab art Gallery, Egyptian modern art museum, Obera house, Minstery of culture, Cairo, Egypt. 2016 : Madinity sculpture symposium (Madinity city - Egypt : Turkich Carara marble). 2015 : Exhibition of (Memories of the victory) - Karma bn Hanei Gallery - Ministry of culture – sector of fine arts, Egypt. 2014 : Exhibition of (Silver anniversary of youth Salon) - Art palace - Ministry of culture – sector of fine arts Egypt. 2014 : Exhibition of (Generations), Agyal Gallery , Mahmoud Saeed Museum (Alexandrina), Egypt. 2014 : Solo exhibition – Ahmed Basiony Gallery,Faculty of Art Education, Egypt. 2014 : Exhibition of (The shape and time 2 ),MAMAR Group, Ibdaa Center Alexandria, Egypt. 2013 : Exhibition of ( anniversary of Art Education Faculty )- Art palace - Ministry of culture – sector of fine arts Egypt . 2013 : Solo exhibition – Boshehry Gallery, Kuwait . 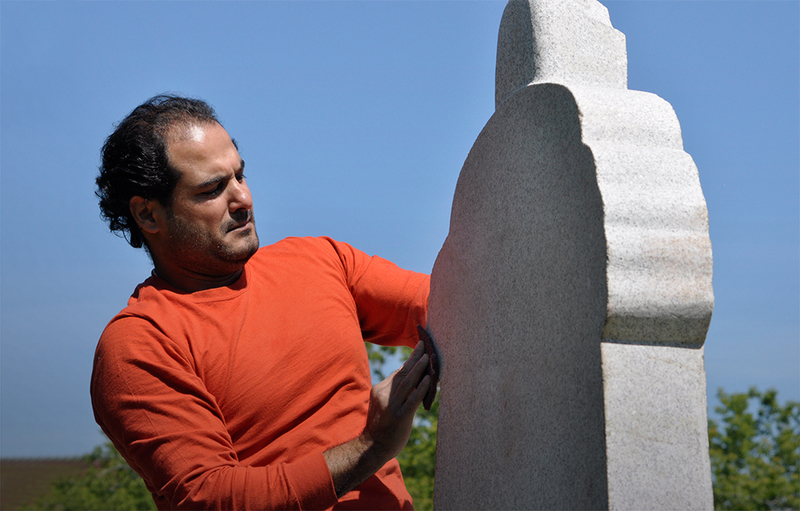 2012 : Sodic sculpture symposium (6th October city - Egypt : Egyptian Galala marble ). 2012 : Exhibition of (Architecture with the hands od sculptors )- Ofok Gallery- Ministry of culture – sector of fine arts. 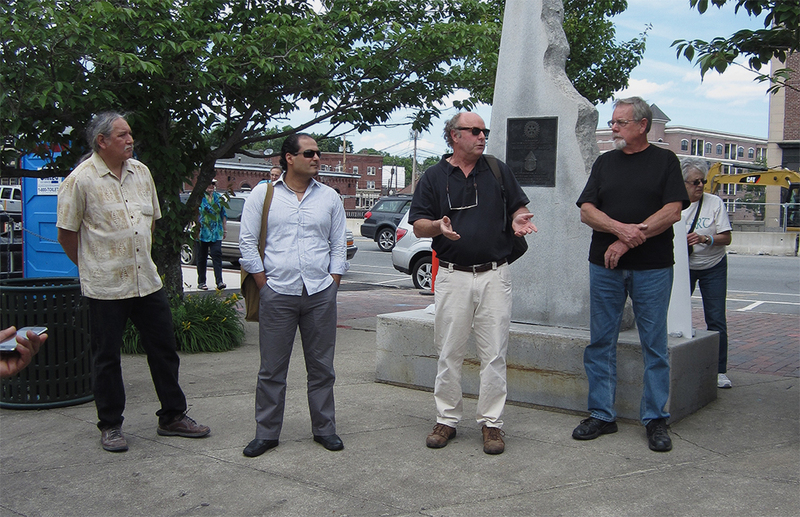 2012 : Nashua international sculpture symposium ( United state of America - Granite ). 2012 : Exhibition of (contemporary Egyptian sculpture )- Katara-Ministry of culture – Qatar. 2012 : Exhibition of (Art - Revolution )- Art palace- Ministry of culture – sector of fine arts. 2011 : Bridges & connections international sculpture symposium (United state of America - Granite ). 2011 : Exhibition of (selected sculptures of an Egyptian sculptors ) Boshehry Gallery – Kuwait . 2011 : Commissar of Exhibition (selected sculptures of an Egyptian sculptors ) Boshehry Gallery – Kuwait . 2011 : Exhibition of (Agenda), ( Bibliotheca Alexandrina ). 2010 : Exhibition of (Egyptian contemporary artists ) Van Gogh art Gallery. 2010 : Exhibition of (contemporary art ) Art House Gallery. 2010 : Sharm ElShiekh international sculpture symposium (Egypt : Egyptian Galala marble ). 2010 : Solo exhibition – Al gezera center for art , Ministry of culture – sector of fine arts. 2010 : Exhibition of (Agenda), ( Bibliotheca Alexandrina ). 2010 : Exhibition of (Selected from Egyptian contemporary art ) Ministry of culture – sector of fine arts. 2009 : Exhibition of (Faces) Ministry of culture – sector of fine arts. 2009 : Exhibition of ( Panorama of Egyptain sculpture ) - Zamalek art Gallery. Cairo. Egypt. 2009 : Exhibition of ( AUC Art and Design Faculty )- Sharjah art gallery. AUC Center for the arts, New Cairo Campus .Egypt. 2009 : Exhibition of ( continyity )- Almasar gallery.Cairo.Egypt. 2009 : Exhibition of ( sculpture portrait ) - Ministry of culture – sector of fine arts - Alexandria . 2009 : Solo exhibition – Ministry of culture – sector of fine arts. 2009 : Aswan international sculpture symposium (Egypt : Egyptian Granite – rose). 2008 : Exhibition of (Selected from Egyptian contemporary art ) Ministry of culture – sector of fine arts. 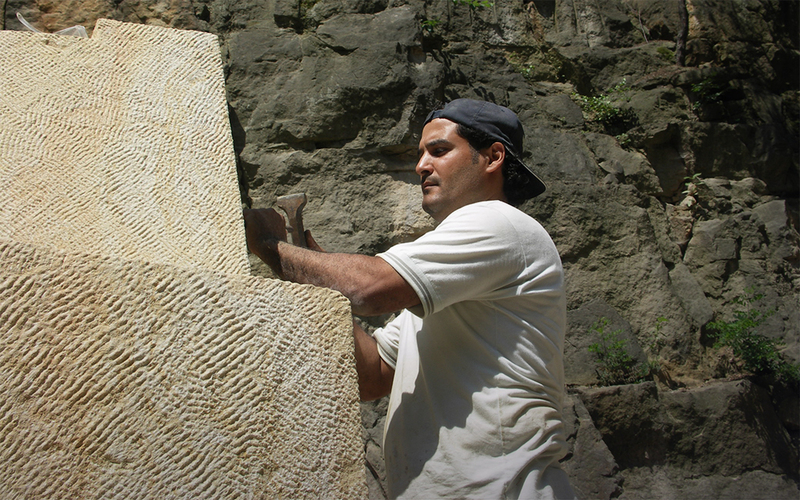 2008 : Amman international sculpture symposium ( Jordan – Turkish marble). 2008 : Exhibition of ( contemporary sculpture )- Ministry of culture – sector of fine arts. 2007 : Horice international sculpture symposium ( Czech republic – sand stone ). 2007 : Alexandria international sculpture symposium ( Egypt - Carrara Marble ). 2007 : Solo exhibition – The American University in Cairo . 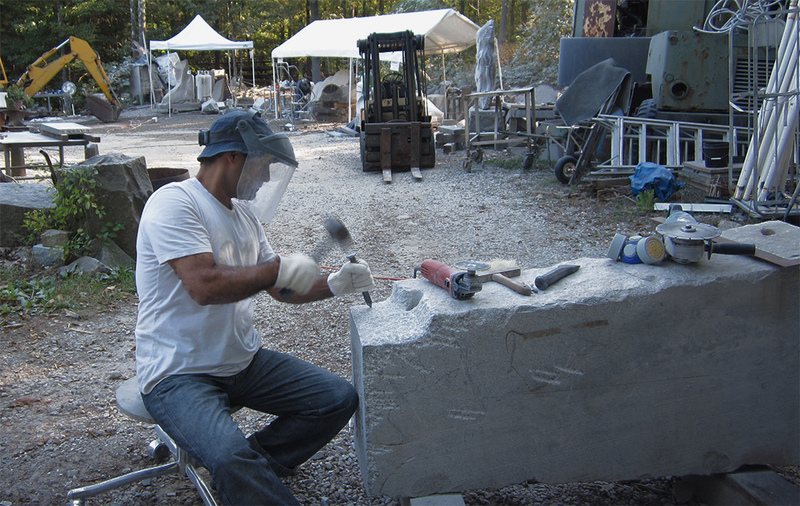 2007 : Nantopietra international sculpture symposium ( Italy – vicenza stone ) . 2006 : Exhibition of ( stars of today )- Ministry of culture – sector of fine arts. 2006 : Exhibition of ( drawing through process ) – The American university in Cairo department of performing and visual arts . 2006 : Tripoli international sculpture symposium (Lebanon : Lebanese stone). 2005 : Aswan international sculpture symposium (Egypt : Egyptian Granite – rose & black). 2005 : Alexandria sculpture symposium ( Egypt : steel ). 2005 : Egyptian national exhibition of fine art . 2003 : Execution ( Galla square ) Diameter : 38 m – total height 12 m , bronze statue 3.5 m .
2003 : Egyptian national exhibition of fine art . 2003 : Exhibition of sculpture with boundaries ( Bibliotheca Alexandrina ), mine mum size 2.5 m.
2002 : Egyptian national exhibition of fine art . 2001 : Small art work salon . 2001 : Aswan international sculpture symposium (Egypt : Egyptian Granite – rose). 2001 : Egyptian national exhibition of fine art . 2000 : Aswan international sculpture symposium (Egypt – work shop : Egyptian Granite – rose) . 2000 : Youth salon of fine art No., 12 . 2000 : Small art work salon . 1999 : Small art work salon . 1999 : Design and execute ( The golf player ) 4.5m height – bronze & Spanish marble, Sharm El-Sheikh , Egypt . 1999 : Youth salon of fine art No., 11 . 1997 : Aswan international sculpture symposium (Egypt – work shop : Egyptian sandstone ) . 1991 : Youth salon of fine art No., 2 .